There are a lot of people that don’t realize just how much of a role Canada plays in the fashion world. There are several well-recognized manufacturers that produce their lines of attire in Canada. There is no mistaking that this is a Canadian manufacturer. Their focus on fashion lies within the Arctic luxury attire that they produce. They have been in business since 1957, and certainly picked the right category of clothing to focus on especially for those who want to look their best while braving the well known Canadian winters. The original outerwear such as jackets possessed down filling which is what has brought recognition to this company. The quality being produced was so impressive for its warmth that it was sought out by many Canadian agencies. Such as various Police department and Rangers. What has led this company to even greater success is their ability to combine fashion with warmth and quality. This is such a well-known brand not only because of its fashion style and quality but because it dates way back. It is recognized as being the oldest merchandising company in the English world. Its English charter goes back to 1670. It was in control of the fur trade for many years. Finally, it made the transition into the retail and merchandising industry. It made such a large impact in this field partly because they were the official clothing suppliers for the Canada Olympic Team dating as far back as 1936 and as recently for the upcoming 2020. 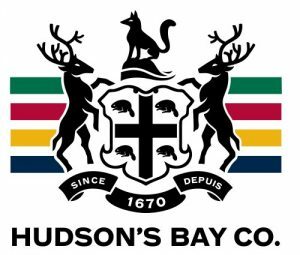 HBC is well known as a Canadian premier brand. Roots is a popular household name in Canada when it comes to fashion. This company opened the first Roots store in 1973. The Roots logo is highly recognizable and is easy to affiliate it with Canada as it is the beaver logs. Although this company has grown in popularity, it has managed to keep both its design and production of its line in Canada. There are no compromises made by this Canadian clothing manufacturer. Some of the Roots clothing has been seen as it was worn by the Canadian Olympic Team. Although they have been in business for a long time, they have not neglected to stay on top of the fashion trends. A prime example of this is clearly seen at the Roots Yoga store located in Toronto, Ontario. Most recognized for their apparel that is geared to those who are athletic minded, this company has grown quickly. It was founded in 1998. Its original productions of attire were geared towards those who were into yoga apparel. They are located in Vancouver. Although a Canadian based apparel company they have expanded their offerings into many North American cities. Their flagship store resides in Vancouver. It started out as a simple women’s fashion boutique and soon won the popularity from many age groups. Fashion is not always about clothing but also includes other items like footwear. The manufacturer in Canada that is widely recognized in this industry is Sorel. It dates back to 1962 which was its founding year. The only drawback with Sorel is that it now outsources its production, but it does have its headquarters in London, Ontario. These are but a few of the highly recognized clothing manufacturers in Canada who contribute significantly to the fashion world.